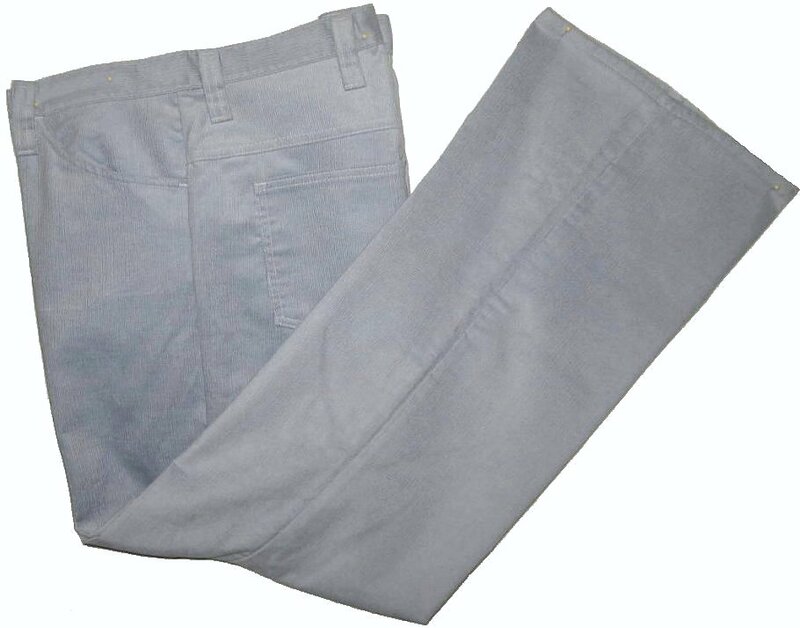 This never worn pant is a pale grayish baby blue color. The pants have a husky cut and a bit of a flare. The bottom of the leg is 22" around. The waist is barely 40" around for a likely 39" waist fit. The inseam length is approximately 30". The pants have never been worn. Washing never worn vintage corduroys make cause them to shrink a bit. Do not put in dryer if you don't want any shrinkage. The real pants are machine washable inside out on warm and machine or hang dry.